If you haven’t acquired any assets yet, the thought of building wealth may feel overwhelming. This beginner’s guide will show you exactly how to get started. Most of the wealthy people you can name started with something. They had $10,000, $100,000, or even a million and turned it into immense, lasting wealth that means their great-grandchildren won’t need to work. Their achievements still mean something, but the simple truth is that many of the people who talk about “bootstrapping” had the boots to strap. Their advice doesn’t account for people who didn’t have the base investment, connections, and education required to become millionaires or billionaires. 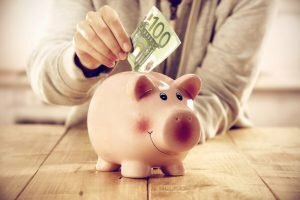 A new study published at the end of the summer found that the median American savings account boasts a balance of $4,830. The rules that made the rich wealthy don’t apply. But that doesn’t mean building wealth is impossible. Instead, the rest of us learn how to build wealth by following a different set of rules. 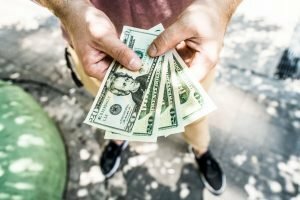 Do you have the average American savings account with $5,000 in it? Or does $5,000 still look like a lot of money? We’ll show you the rules for achieving financial wealth even if you don’t have a pair of boots. Before you build wealth, you need to get rid of the two things in personal finance that hold you back: waste and debt. To grow your money to a state where a budget doesn’t matter, you need to start with a budget. We recommend starting with a workable budget and then using it to tackle debt. By freeing up wasted money, you’ll find it easier to apply to credit cards and other high-interest debts that hold you back. Every one has essential monthly expenses: rent/mortgage, bills, food, insurance, transport, etc. Create a budget that allows for all those expenses and subtract it from your takehome salary. How much money is left? Now, how much of that do you still have at the end of the month? If your answer is little to none, then it’s time to find out where your money went. Spend a week saving all your receipts. At the weekend, look them over. Where did you spend unnecessary money? Did you buy an extra coffee because you could? Did you impulse buy at the grocery store? Stop wasting money by setting out a budget for the rest of your money. Create a budget that makes sense for you to keep your spending in control. As you gain greater control of your finances, start restricting those areas to see how much you can save. Each uses a style that works for some but not for others. Play around to find a budget that you can stick to without feeling more stressed at the end of the month. When you’ve got your finances balanced, start using the excess parts of your budget to pay off your high-interest debts. Those who already have cash say debt is a helpful tool for building wealth. For most of us, debt is what stands in the way of building wealth. Start by making more than the minimum payments but not so much more than you turn to your credit cards when things get tight. Find areas of your budget where you can cut back and apply it to your expensive debt. Commit to taking down debt until you’ve minimized or eliminated it. Don’t be afraid to spend months or years on this project. The benefits of eliminating debt are freedom, happiness, and good credit. All of these open up far more options when you’re building wealth. If you want to learn about ways that debt makes money, wait until you’ve eliminated your current deficit and started to snowball your wealth. By creating freedom from debt and missed opportunities, you poise yourself to become wealthy. 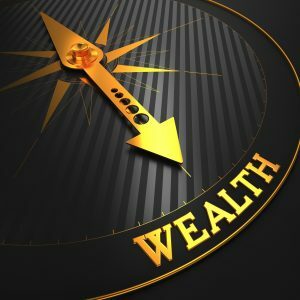 One of the most popular philosophies for building wealth today is the “snowball effect.” A snowball only requires a few flakes before it begins to pick up more and more, gaining momentum as it goes. We like the snowball money effect because anyone can use it. Whether you can save $500 or $25 a month, it applies. The snowball wealth effect is a way of building momentum and getting rich slowly while maximizing on compounded interest. It’s a method used by professionally rich people like Warren Buffett. To make the most of your new savings, you want to start investing in instruments best able to grow it. If your employer offers a retirement plan and you’re not already enrolled, get in touch with HR. Employer retirement plans are ideal because they often match contributions and come with low fees. Already enrolled? Consider increasing your monthly contribution or funneling any bonuses into it. Remember, the best time to save for retirement was yesterday because when you save longer, you benefit more from compounded interest and grow your wealth. Investing has never been easier than it is today. Earlier in history, ground level investors could get involved by investing in penny stocks. Today’s robo-investors allow you to invest $5 contributions and enjoy the same returns as big investors. Investment platforms open up ETFs to all investors and manage them on your behalf for a small fee. Skip the savings account and invest in the stock market. Just be sure you keep an eye on the tax implications of market investments. Mutual funds are a security that offers simplicity for new investors. All you do is invest a minimum fund – between $500 and $5,000 – and wait. 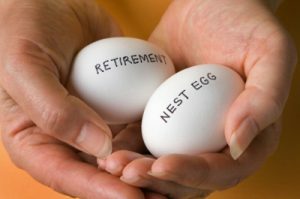 If you don’t have a small nest egg to put in the fund, don’t worry. COmpanies like Dreyfus and Transamerica are willing to waive the minimum if you agree to an automatic monthly investment. For the average American, building wealth isn’t about striking gold or making it big. Wealth comes from committing to sound personal finance practices that open up money and opportunities. It doesn’t matter if you have $50 or $500, you can build wealth that will last the rest of your life. More importantly, committing to good financial habits helps you manage your wealth so you can enjoy it longer. Ready to learn more about investing your money to grow your wealth? Read more about investing and wealth here.